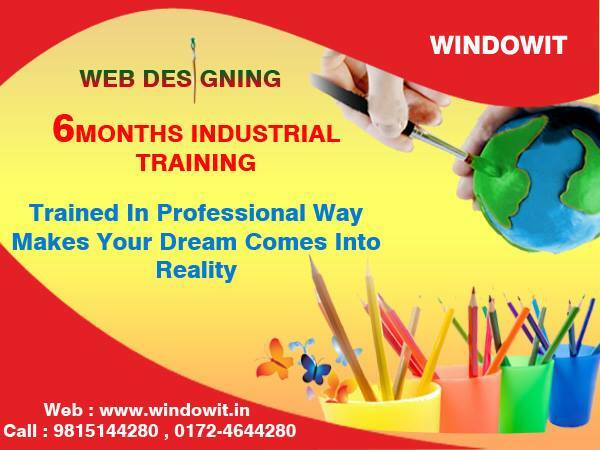 Six Months Project Based Industrial Training is conducted by Windowit Mohali. The programs usually conducted twice a year, beginning in the month of January and July. The duration of the program varies from 4 to 6 months depending on student needs and qualified partner professionals are engaged to deliver the program and guide the trainees throughout the program. There are around 50-60 participants in a batch with a good student-trainer ratio for effective learning. Upon completion of the program, training certificate and project letter will be provided to successful students.